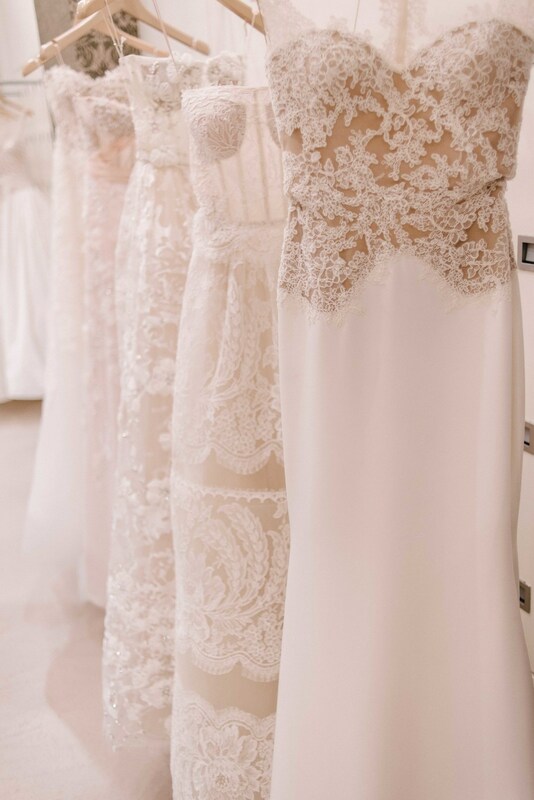 Ethereal, light, delicate: they are words synonymous with Reem Acra's line of exquisitely crafted wedding gowns. 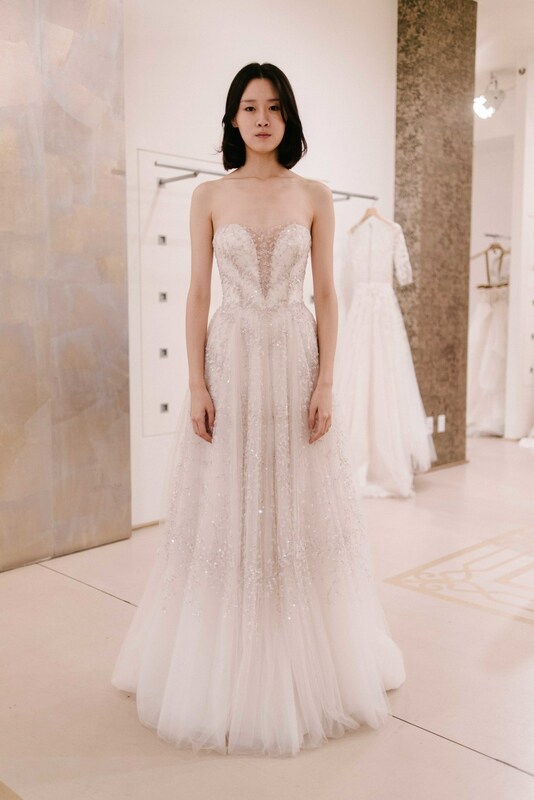 This season we saw those elements blended with the transparent trend of red carpet dressing in a style that is distinctly Reem Acra. 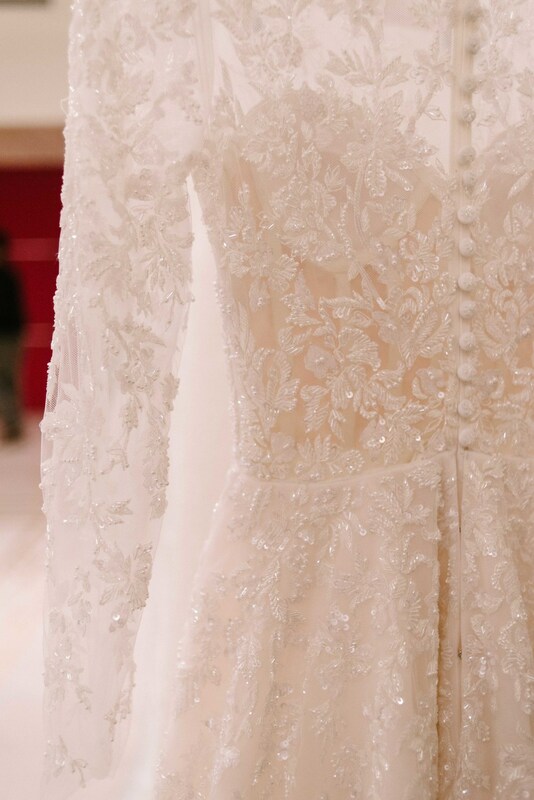 With incredibly intricate beading and embroidery, these gowns come to life up close - a reason we always love visiting the Reem Acra showroom in New York. 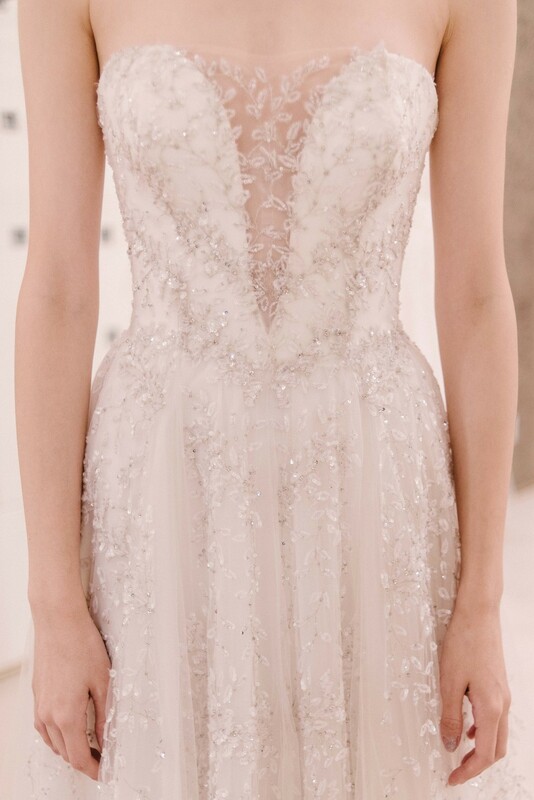 One element new to Reem Acra with this collection is long, dramatic trains. Without being heavy or cumbersome, these light-as-air trains lend a striking statement to brides on their wedding day. 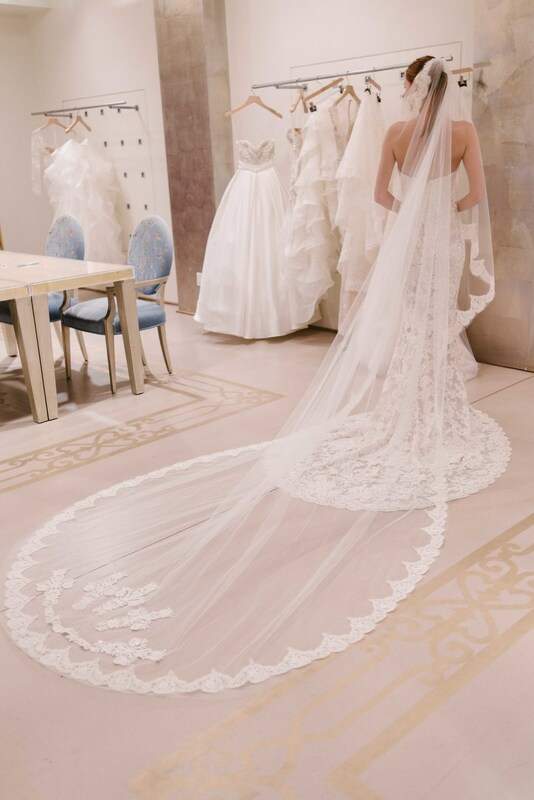 Be among the very first brides to ever wear the gowns from this brand new collection during our Reem Acra Trunk Show, November 20th-22nd. Book your appointment here.